How do you keep your developers motivated? What was your first role in Product Management? How is product structured internally in Airbnb? Do you collaborate much with product groups? What advice would you give to people that want to pursue Product Manager role for a career change? How important is it to be on the same page with your management team and have their support? Can you talk about the career trajectory of a Product Manager? How does competition factor into your product roadmap decisions? To what extent do you follow the market when you’re deciding what projects to prioritize? Would you say noncritical bugs should remain in backlog to further shape the product or is it key to shape a feature to its 100% before moving on? What made you shift your career from Zynga to Airbnb? When you started your first Product Manager job what did you do during your first month? Do you think it's a viable path to jump from UX Research/HCI specialty into Product Management? What are some critical skills needed for professionals to transition to junior/associate Product Manager roles? What haven’t we asked about your experience as an Airbnb Product Manager that you believe is important to share? Do you think it’s a viable path to jump from UX Research/HCI specialty into Product Management? Some of the most valuable qualities of a product manager include leadership, adaptability, and a strong product mindset. Taking these qualities to your interview can help you stand out from the rest. According to Product Manager at Airbnb, the most important thing is to find a product or company you’re passionate about, in order to go far. She also had far more insights to share with our community. Check out what she had to say in her recent Q&A below. 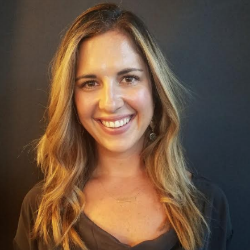 Helen Sims is a Product Manager at Airbnb, focusing on host acquisition. Airbnb currently has over 4 million listings available across the world – more rooms than the top 5 hotel chains combined! Helen is focused on strategically growing that supply even further. Prior to Airbnb, Helen worked at Zynga for over 5 years as a Director of Product. In her spare time, Helen is an instructor at Product School and enjoys riding around town on her motorcycle. I think keeping your team aligned with the mission and motivated is super important regardless of their specific role. In general, I recommend finding out what motivates the individuals on your team. I’ve found there can be pretty high variety here. Some people are motivated by impact. For these individuals, I recommend consistently showing quantifiable metrics that show the impact of their contributions. Others are motivated by customers. For these individuals, I recommend sharing anecdotes and customer reviews to show the real impact that you are creating for them. Focus on how your products have made their lives better. Other individuals are motivated by technical challenges or all sorts of other intrinsic and extrinsic motivations. The most important part is having those conversations so that you know what motivates the individuals on your team and you consistently remind them of how everything ties together. My first role in Product was as a Product Manager at a gaming company Zynga. They had an amazing training program, and I’m very thankful for the vast amount I learned there. It’s also an example of a company that hires Product Managers with limited product experience. On 1-pagers/Specs/PRDs we explicitly list out anyone who should be made aware of this upcoming change. We have a live document called “WOW” (Who Owns What) that we can reference at any time. I make a concerted effort to eat lunch with a different Product Manager from around the company minimum three days/week to learn about what they’re working on. It ends up being some of my favorite hours of the week! Have a technical background (CS undergrad, experience as a software engineer, etc.). CEO/founder of a small company. Go to Business School or similar advanced study. Work at a company you’re passionate about in a role outside of Product, and transfer into Product management. Depending on your background and time horizon, I might recommend a different approach. Finding a company or product you are incredibly passionate about and becoming an expert is a good strategy no matter what. For example, one of my favorite anecdotes is about someone who really wanted to work at Twitter. He spent $100 on mechanical turk learning about who the Twitter VIP’s were and wrote a blog post about it. The blog post went viral, and when he interviewed on Twitter, they recognized him as the author. He did ultimately get an offer. This is where going above and beyond and showing your passion can help, even if you don’t necessarily have a technical background or an MBA. This is incredibly important! I do want to clarify that this doesn’t mean you need to blindly agree with management’s first instinct. You should be a big part of shaping the narrative as well, and if you disagree, you should feel empowered to share your point-of-view (backed by data or qualitative research) and influence decisions. However, it’s critical that you and the leadership team are on the same page. Think about it this way. Try to build a house where the architects aren’t on the same page as the construction company. What happens? Probably nothing good. But also, if the architect draws something that the construction company knows won’t work, they should feel empowered to share that information and adjust together as well. Years 4-6: the senior level position “empower others to do work.” This is where careers often fork between management and IC roles. (note: you can always change your mind, this decision is never irreversible. I recommend everyone try management at some point). As an IC you’ll own larger projects, and as a manager, you’ll start to influence broader initiatives. The scope of work = 12-18 month projects. Years 10+: Up to you! By now you’re a strong leader capable of helping others or owning very large projects end-to-end that can influence an entire company’s trajectory. Maybe you start your own project or take on a high-level leadership position. There’s a principle in Product Management stolen from ice hockey (of all places! ): “Skate to where the puck is going.” The idea here is that if you just copy your competitors, you’re skating to where the puck is. By the time you get there, it’s already gone, and all you’ve done is built the same thing as your competitor, but they did it first (and have probably iterated and made it better since then). It’s important to remain aware of what your competition is doing but more so to see trends and predict where the entire competitive landscape is moving – not just to copy existing landscape. 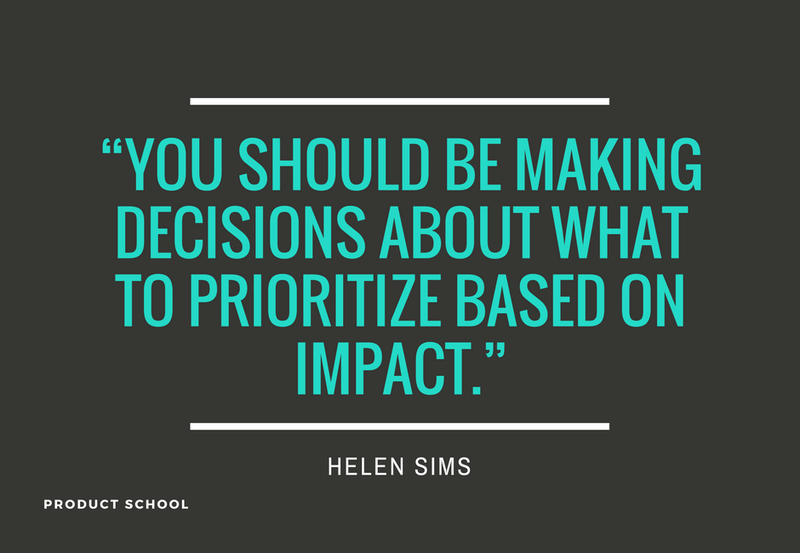 In general, you should be making decisions about what to prioritize based on impact. While you should always aspire to ship clean code with no bugs, inevitably things always slip through the cracks. When you’re deciding whether or not to fix a bug, you’re primarily looking at the opportunity cost of fixing that bug and anything else you could be working on instead. When you think about it in this way, you can typically make objective decisions about what’s best for your customers. Sometimes, even if it’s painful, that means a lower-impact bug lives on a bit longer while you build something that will drive more value instead. I went to work at Zynga because I was obsessed with the product and believed wholeheartedly in the mission (“connect the world through games.”). I would run late to meetings because I was waiting for a crop to harvest in FarmVille. I decided I needed to work there before it ruined my life. This ability to deeply understand and empathize with their target customers was very helpful in making me a successful Product Manager. After six great years at the company, I found Airbnb’s mission resonated more strongly with me (“Belong Anywhere.”). I similarly had become a power-traveler on Airbnb and was staying in Airbnbs almost every weekend and even lived full-time in Airbnbs for four months. The lesson here is that no matter the industry, it will be very helpful if you are deeply passionate about the product and the company’s mission and have a deep understanding of it when you apply. 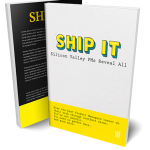 Regarding the move itself, what you’ll find is that the Product Manager skillset is very easy to adapt to many different situations and industries. Ultimately leadership skills, analytical acumen, impact-driven decision making, and customer empathy will be helpful no matter where you end up working. Deep understanding of what’s currently working and (more importantly) what’s not working! The best way to learn this is to ask people, but also to observe. Deep understanding of the current product and the competitive landscape. Do complete deconstructs of competitors and figure out their strategy. If possible, learn what’s been tried already. Chances are you’ll have a few “I can’t believe no one thought of this yet” moments. And most of the time, with a bit of digging, you’ll find someone who did indeed think of it, and there’s a good reason it hasn’t been done. Absolutely! There’s no standard path to becoming a Product Manager, but I’ve seen this jump before. Typically Product Managers have a superpower. I’ve found that for Product Managers moving over from research, the superpower is frequently user empathy. I’d emphasize this skill but also working on others that will help round out your Product Manager skillset (analytical skills, project management skills, etc). Communication skills – Practice, practice, practice both written and oral communication, including preparing and presenting powerpoint decks. Opportunity sizing – These are those tricky interview questions that ask “how many golf balls would fit on a school bus.” Yes, they are challenging, but no they aren’t impossible! Look for examples of Glassdoor and practice answering them. Customer empathy/UX – Do you understand what does and doesn’t make a good user experience? Look critically at some of the apps and products you use every day. What’s great about them? What could be made better? One thing that often gets overlooked at dual-sided marketplaces is all of the personas. For example, when thinking about Uber products, you should be thinking about not just the rider but how changes will impact the driver too. It’s the same at Airbnb. When we make changes to the product, we have to think about how it impacts both the guest and the host (and sometimes, even more, personas too!). This isn’t unique to Airbnb, but it’s a unique characteristic of marketplace companies. We teach product management courses in San Francisco, Santa Clara, Los Angeles, and New York. To learn more about our upcoming courses and how to apply click over to our course page.